Brandon Winters submitted this photo and caption. 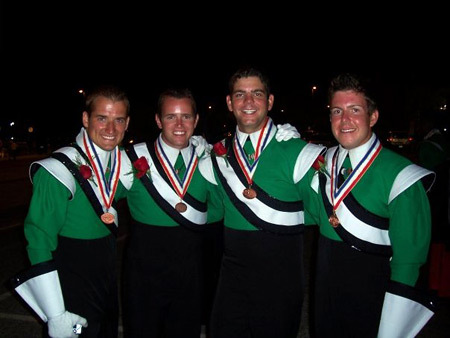 This is a photo of some of my longtime DCI freinds. Our first year together was in 2004 as members of the Magic of Orlando trumpet line. From the left is me (Brandon Winters), Stephen Phillips, Ryan Sirmeyer and Keegan Jerabek. This was our age-out year together in the Cavaliers.